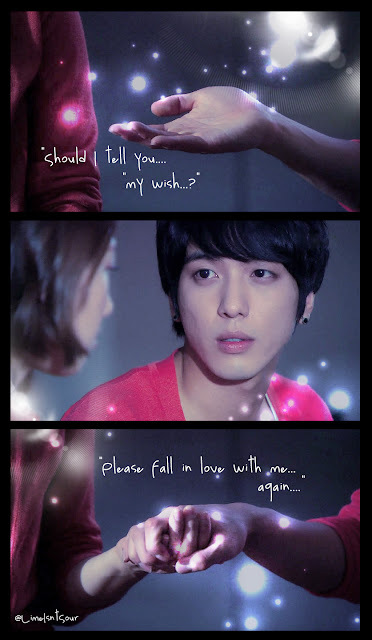 Jung Yonghwa firmly takes hold of Park Shin Hye's hand and confesses his love for her. 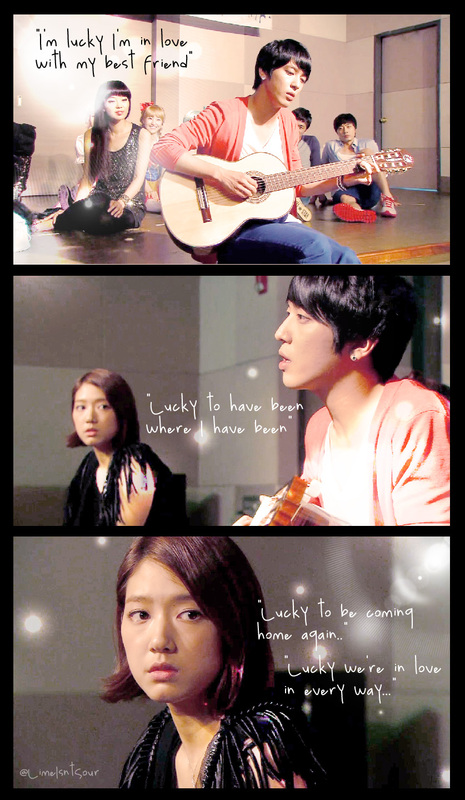 In Episode 9 of MBC drama 'Heartstrings', Lee Shin (starring Jung Yonghwa) finally faces his true feelings and confesses to Lee Kyu Won (starring Park Shin Hye) during their school training camp. 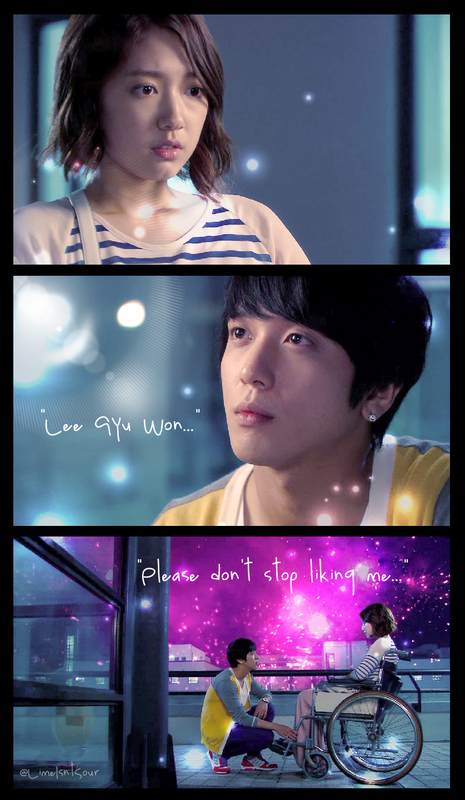 In the beginning of the episode, Lee Shin kneels down in front of an injured Kyu Won and says 'Please don't stop liking me' to which Kyu Won responds 'Why? Do you like me?'. Lee Shin stutters and fails to give an answer, which causes Kyu Won to angrily yell 'I am not your slave, you cannot play around with my feelings!'. After the incident, Kyu Won remains cold towards Shin. However, during their training camp, Shin and Kyu Won are told to buy groceries together. On the way to the market, Kyu Won walks off by herself to buy medicine for her sickness, leaving a worried Shin to wander in the busy streets to look for her. When he finally does, Shin says in frustration 'Where were you? Have you got any idea how worried I was!'. The episode ends with the heart-fluttering confession of Shin, which foreshadows that Episode 10 will unfold the love-line between Shin and Kyu Won in full force. July 28: "오늘 미용실에 가서 선생님께 "쌤~!! '넌 내게 반했어' 이규원 머리 해주세요!!" 했더니 정말 해주셨다! !역시 민희쌤은능력자>_<파마했어요이제 습한 날씨에 머리풀릴 걱정은 좀 덜 해도 될 것인가.."
Trans: "Today went to the salon and told the hairstylist 'Please~!! 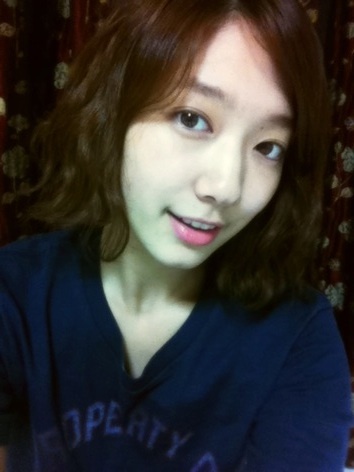 I want 'Heartstrings' Lee Kyu Won's hair!!' really had it done professionally >_< Perm. Now I don't need to worry about the humid weather anymore as my hair is ready. I hope.."
I can't wait to watch this episode. Have to wait for English subtitles though. Ooh! It really DOES just keep getting better and better! I want Lee Gyu Won's hairstyle too... but my face is too wide and it would look funny. Sigh. We appreciate Korea's traditional music..where looking forward to what would be the final outcome of the combined traditional and applied music, as well as with the stage play..keep it up.